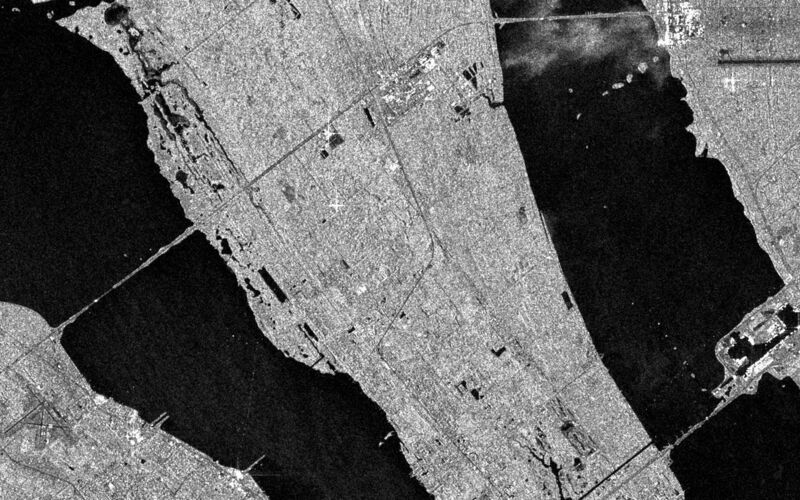 This is an X-band Synthetic Aperture Radar image spanning an area of about 20 kilometers by 40 kilometers (12 miles by 25 miles) of the Kennedy Space Center, Florida. At the top right are cloud-like structures which indicate rain. X-SAR is able to image heavy rainfall. The Atlantic Ocean is at the upper right. The shuttle landing strip is seen at the top left of the image. The Vertical Assembly Building, the Orbiter Processing Facility and other associated buildings are seen as a white area to the right and just above the end of the shuttle strip. The shuttle launch pads are the two white areas near the top center of the image. 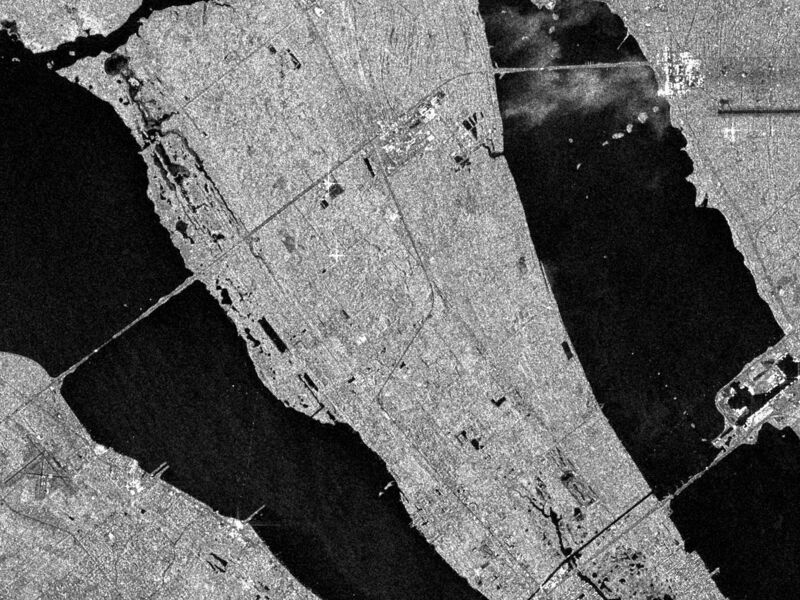 The Banana River shows up as a large black area running north to south to the right of the image. The Indian River is on the left side of the image. 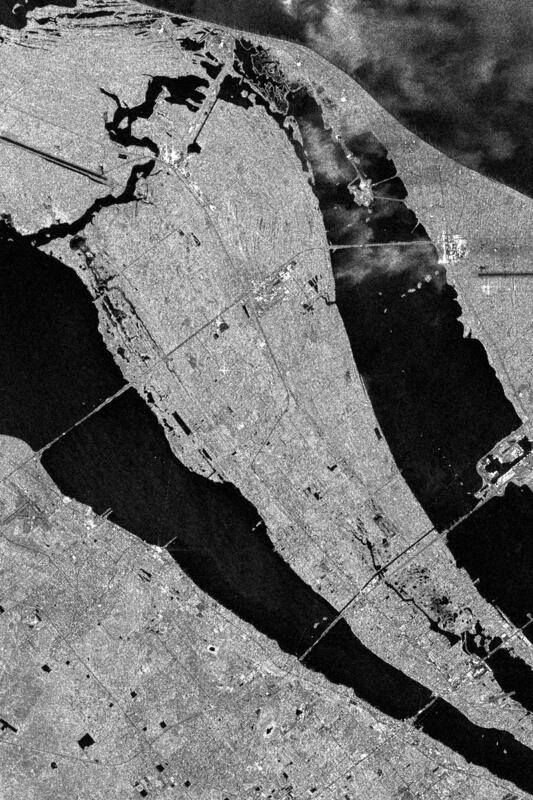 Just above the image center is a cluster of white spots which are the major buildings of the Kennedy Space Center industrial area. This was the location of the reflector array that was constructed to form the letters "KSC" by the KSC payload team. 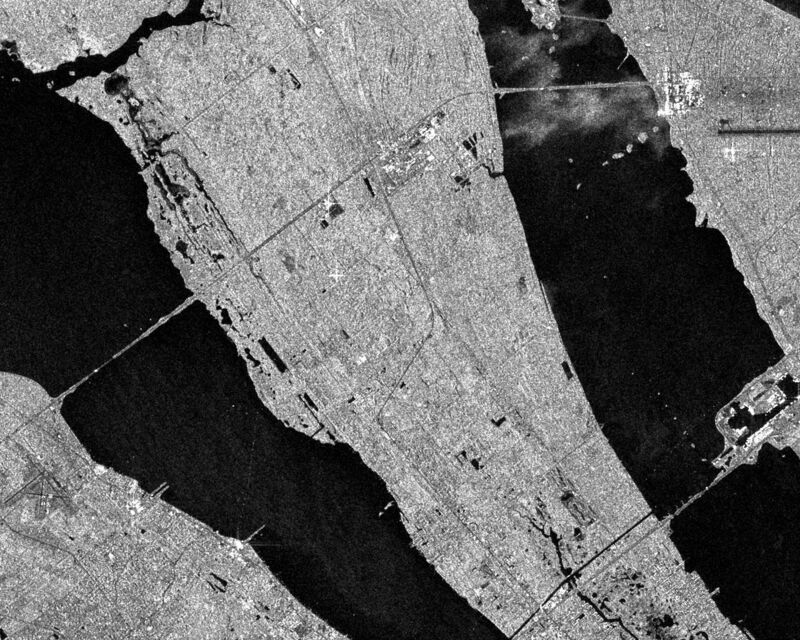 The data for these KSC images were taken on orbit 81 of the space shuttle Endeavour on the fourth day of the SIR-C/X-SAR mission.